The coupled ocean–atmosphere–wave–sediment transport (COAWST) model is used to hindcast Hurricane Ivan (2004), an extremely intense tropical cyclone (TC) translating through the Gulf of Mexico. 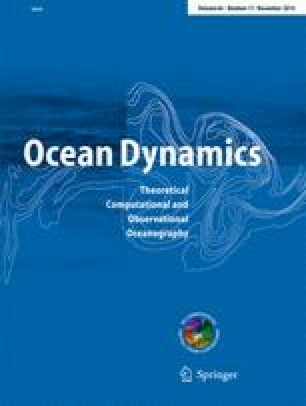 Sensitivity experiments with increasing complexity in ocean–atmosphere–wave coupled exchange processes are performed to assess the impacts of coupling on the predictions of the atmosphere, ocean, and wave environments during the occurrence of a TC. Modest improvement in track but significant improvement in intensity are found when using the fully atmosphere–ocean-wave coupled configuration versus uncoupled (e.g., standalone atmosphere, ocean, or wave) model simulations. Surface wave fields generated in the fully coupled configuration also demonstrates good agreement with in situ buoy measurements. Coupled and uncoupled model-simulated sea surface temperature (SST) fields are compared with both in situ and remote observations. Detailed heat budget analysis reveals that the mixed layer temperature cooling in the deep ocean (on the shelf) is caused primarily by advection (equally by advection and diffusion). Research support provided by USGS Coastal Process Project, Gulf of Mexico Research Initiative/GISR through grant 02-S130202, NOAA grant NA11NOS0120033, NASA grants NNX12AP84G, and NNX13AD80G is much appreciated. We acknowledge the National Hurricane Center for making hurricane best-track data available online.